The Black Keys are a blues rock duo formed in Akron, Ohio in 2001. The duo consists of Dan Auerbach, vocals and guitars, and Patrick Carney on drums. 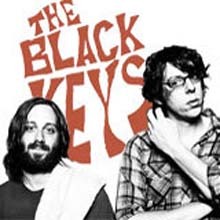 The Black Keys released their debut album “The Big Come Up” in 2002. For an independent rock group the album turned out to be very successful. Use these The Black Keys guitar chords and tabs to master Dan Auerbach's characteristic guitar sound. The album was not a big costly production but recorded in Carney's basement on an old 8-track recorder. They have since released several other albums also with success for their genre. Auerbach started to listen to his father's old blues records as a young child. He also had uncles who played bluegrass music. All of this influenced him later as a guitarist and you can find bits and pieces of this in the Black Keys tabs below. He dropped out of college to be able to dedicate himself more to guitar playing and music. Over the years he has used lots of different guitars but Ibanez SG seems to be a favourite.